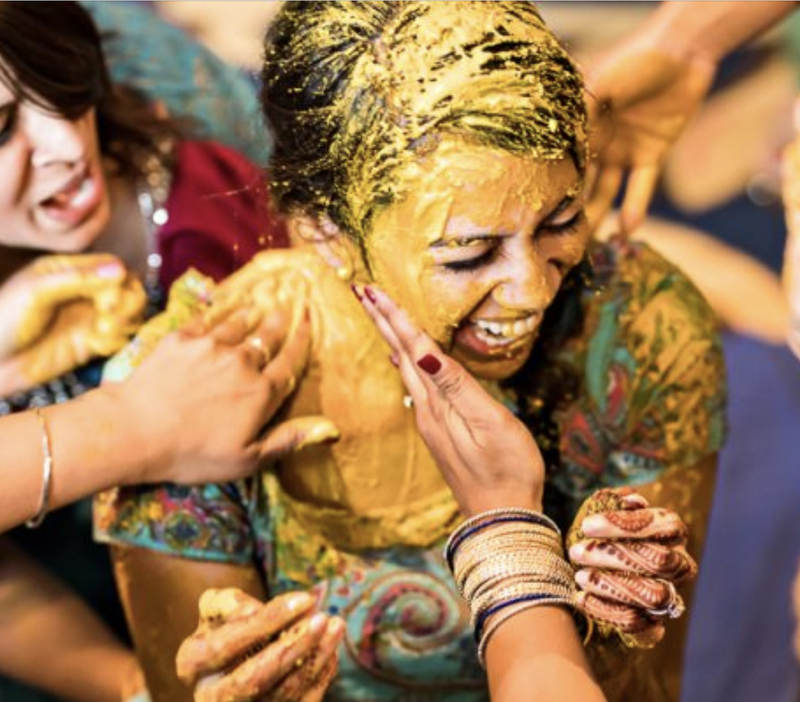 I have never had the good fortune to attend an Indian wedding, but its colorful multi-ritual affair totally appeals to my nature. I truly believe that such an intense series of activities binds the bride and groom (as well as exhausts them, to be sure). 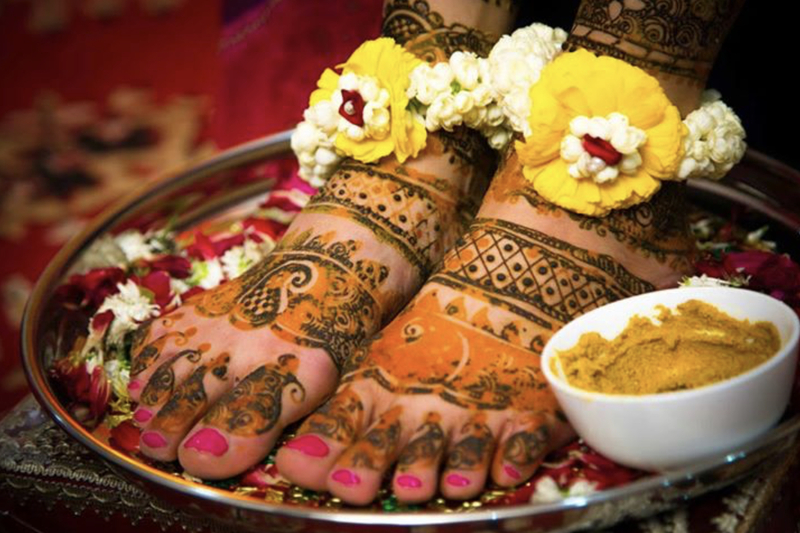 Mehendi: The bride’s hands and feet are covered by beautifully detailed patterns made with a henna temporary dye. 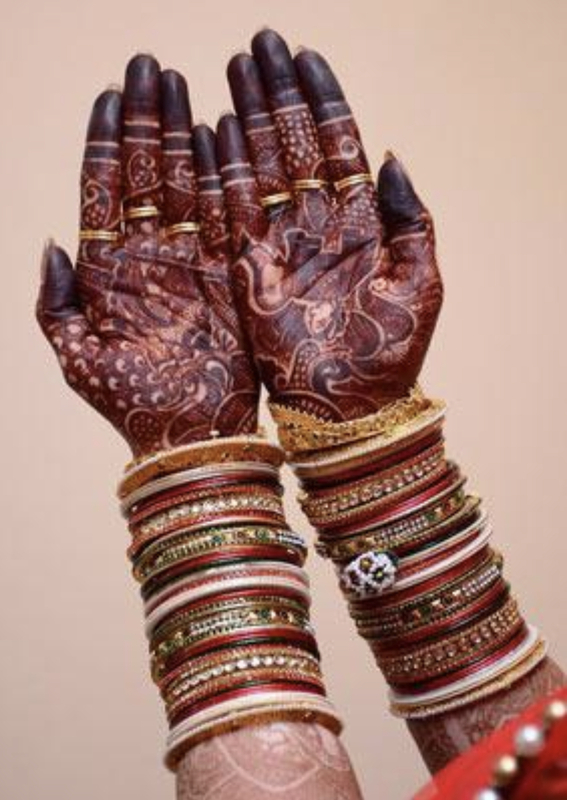 The women of the families join the affair and also have Mehendi applied on their hands.. 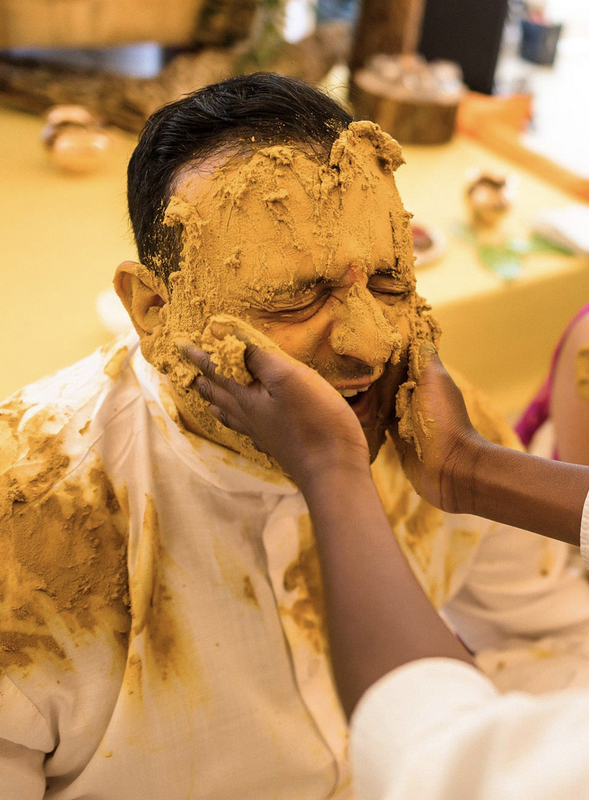 According to some lore, the darker the henna, the deeper the groom’s love. Cool fact: the bride isn’t supposed to perform any housework after the marriage until the Mehendi has faded completely. Joote Churana: I always appreciate good sense of humor and this ritual is mischievous, playful and good-natured. The bride’s sisters or friends steal the groom’s shoes, then demand ransom in the form of money or gifts in exchange. Pheras: This is a very solemn ritual but the vows that are said and sealed fill my heart. After the attending priest chants holy hymns and literally ties the knot between the garments worn by the bride and groom, the two circle a sacred fire seven times. Each circle signifies a vow made between the couple to cherish each other, provide joy and happiness, be by each other’s side and love each other for eternity as well as hopes for prosperity and healthy (and obedient) children. The Seventh and last vow is a proclamation that the two are officially husband and wife. Vidaai: This is a poignant and sad moment as the bride says goodbye to the parents and their home. 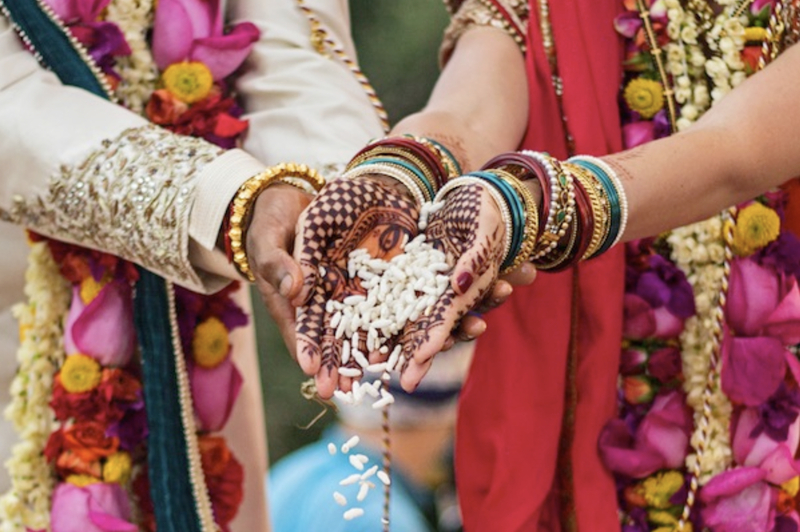 Many reasons are shed but the bride wishes her family continued prosperity with a sprinkling of coins and rice she throws over her shoulder as she leaves. Aarti: The bride is then comforted and welcomed by the groom’s mother as she enters the froom’s Home. The Aarti wards off evil spirits and blessed the union of the two newlyweds. Then comes THE PARTY – usually a day or two after the nuptials. It is huge, it is loud, it is joyful. This entry was tagged ARRANGED MARRIAGE, INDIA, PHOTOGRAPHY, RITUALS, TRAVEL. Bookmark the permalink.